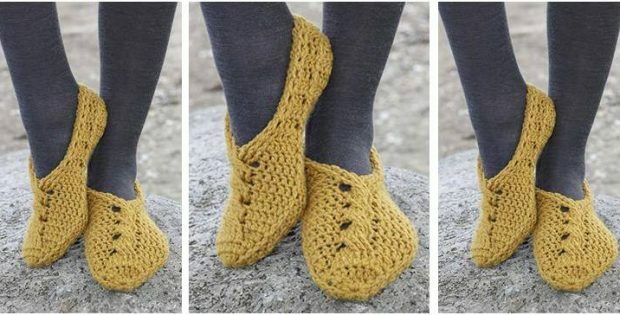 These cozy Amber Road crocheted slippers are the perfect relaxation companions. They will definitely keep your feet warm and pampered. Craft a bunch for the whole family! In fact, this pattern is an ideal project for confident beginner crocheters to work on. The pattern includes detailed written instructions on how to make these crocheted slippers in different sizes. To access the FREE pattern for this pair of comfy crocheted slippers, please click on this link: Amber Road Pattern.